Today I have something different for you. A non-fiction piece I wrote several years ago for the now ended ‘One Book Many Brisbanes’ short story competition. It was an investigation into my family history to see if I could prove the folklore of Sir James Blair’s bloodline to my Schoenwald family. Official records are supposed to be just that — official, final and, most of all, true. Truth is of the highest importance to me and I would sooner divorce my husband for lying than having an affair. Even a small white lie will make my internal workings seize in discomfort and keep me awake at night. I’m a terrible liar anyway. I have one of those faces that shows every emotion that I’m feeling and every thought that I’m thinking. People see through me in a second. So I opt for truth. It bothers me when others don’t tell the truth and it especially bothers me when I know that part of Queensland and Brisbane’s history is not exactly as the official records would have you believe. Because I know that Sir James William Blair, former Lieutenant Governor of Queensland, once-President of Tattersalls Club, former Chancellor of the University of Queensland and Chief Justice, despite what the records say, had at least one child. In the generations preceding me, no one talked about it much. Isadore was ashamed. Gerard was distracted. Brian was quietly intrigued. The folklore was handed down from generation to generation with a reverent word and a wistful look at Government House in Paddington as the car whizzed down Fernberg Road. I used to look at its huge white columns that were so big they seemed to take up most of the sky, the tall palm trees, the Queensland flag and the rose gardens and think of my great-great-grandfather, James Blair, as a king living in the castle on the hill. I know now that he didn’t actually live there. But he certainly passed through its halls and my fascination with this notable person, and the folklore he left behind, continues. I want to set the record straight. It irritates away at the back of my mind like a mouse inside the house that I haven’t quite gotten around to doing something about. Or my taxes, which still aren’t done for the year. I want to be able to claim the truth. An email pops into my inbox, as if psychically prompting me to do something. It is from my uncle, originally, sent to my dad and then forwarded to me. Attached is a picture from the State Library of Queensland’s collection. It is of James Blair in the later years of his life, dressed in full Chancellor robes. I can see what my uncle means. The genetic similarity to my grandfather, Gerard, and, even more so, to my father, Brian, is staggering. The fairly square head. The mouth that tilts ever so slightly to one side. The soft flesh at the neck. The way the eyes are set. The skin of the hands. It’s all there. I recount what I know of the folklore. The need to prove this once and for all has me hooked. My grandfather and great-grandfather may not have had the wonders of the Internet but with just a couple of clicks through the State Library’s online collection I am in James Blair’s world. I find several photos of him. I print one out so that I can study it at leisure. He is quite young in this photo and, at first glance, it seems a standard black-and-white snap of a gentlemen from another era in Brisbane, before the turn of the century. But on closer inspection I notice that, although this is a posed, professional photograph, he appears surprisingly unkempt. His hair is a little fluffy at the front, unruly curls and cowlicks refusing to be seated in neat lines. One side of the collar of his starched white shirt juts upwards while the other is folded neatly over. His spotted tie is clearly askew as though he was just about to pull it off over his head when the photographer surprised him. His appearance is finished with a waistcoat, jacket and moustache, but his eyes have a definite glint that I’ve seen in people who have come back to the office after a particularly good luncheon at a local pub. The formal attire and pose blended with the hint of mischief is what really intrigues me and I want to know more about this man. The online biography says he had no children. But, according to the folklore, this isn’t true. I look again. Actually, it says they had no children, referring to James and his wife. Could the writer have known of the illegitimate child? It’s a subtle difference, but one that opens a window of possibility into the truth. I wonder how many others have looked for these small concessions in the records while they attempted to complete the missing pieces in their heritage. I send the report to my printer, the paper whirs through the spool and I begin to piece together the life of Jimmy Blair. But it’s only a start and I know I need to go to the State Library if I want to finish the story. I have never been to the State Library. I check the map at the beginning of the Refidex, the one that has the CBD in magnified detail, and see that the library is next to the museum and art gallery. I drive across William Jolly Bridge but miss the turn into the Cultural Centre car park, finding myself stuck in heavy traffic down Grey Street. I don’t get to turn around until I have passed the South Bank cinema. I try to imagine this street in the late 1800s, with dirt roads, market stalls, horses and small wooden houses, rather than the multi-storey granite buildings that are here now. What did this look like when James Blair wandered the streets and pubs at night? Were there even streets here, or was it all just farmland? I turn into the Cultural Centre and wind my way through the orange-lit underground car park and find a space. Nerves twitter as I head up the stairs to the entrance level. From the outside, the library appears quite modern — a block structure that is painted green and interspersed with a significant amount of glass. It is set around an atrium inside. The centre of the ground floor is bustling with mothers and prams and groups of school children and their frantic teachers, their voices bouncing off the tiled floor, reminding me of my days as a teacher. I check my bag downstairs, am handed a plastic disc in return, and carry my notebook and pen with me, the rules forbidding me to take either my bag or water to the fourth level. Once out of the elevator, I teeter around the perimeter of the atrium, unsure of where to go. Eventually, I advance through the dark hallway of the Indigenous Collection and the Australian Library of Art and enter the John Oxley library where I know the heritage collections are stored. I hand my list of items to a woman with bright red hair. ‘Thank you.’ I am just about to turn around when I hesitate. I want to ask about ways to research my great-grandfather’s adoption, but I imagine that the staff members here are bored silly with repetitive requests from people trying to trace long lost relatives. ‘I know you probably hate hearing this question,’ I begin. She smiles and looks genuinely interested in helping me, so I ask her where I can find more information. ‘No.’ I didn’t even know that there was a whole section and staff and dedicated to such activities. I assure her I will head down there after I have looked at my items from the heritage collection. First thing’s first. I want to know about the man: James William Blair. I track softly along the khaki-coloured carpet, which is embellished with a light floral pattern, down rows of chest-high white bookshelves, searching the catalogue numbers. I find my first prize — a thin, red vinyl book with old-style typeface, words that have been punched out by an arthritic typewriter. Its absence of desktop publishing thrills me, as if I have taken the first step back in time towards James. It is A Brief Account of the Life and Times of Sir James William Blair. I carry it to a desk positioned next to the tall windows that overlook the ramps on and off the South-East Freeway and the ambling Brisbane River, which is almost identical in colour to the carpet at my feet. The pages crackle within the supremely quiet surrounds. Inside the foolscap-sized pages, I learn that James Blair’s birth was never actually recorded, but that it was assumed he was either born in 1870 or 1871. He was born to Julia Blair (nee Droughton), an immigrant from West Meath in Ireland, who arrived in Brisbane in 1860, and Gordon Blair, an immigrant from Glasgow in Scotland, who arrived in Brisbane in 1864. James had an older brother, Henry Gordon Blair, and a younger sister, Isabella. He was reportedly a very active member of his school community, well known for getting along with the other boys at Ipswich Grammar School and for writing stories, essays and poems that appeared in school publications. James had a reputation for being wonderful with words and being a moving and charismatic speaker, yet his Senior report card lists average results for all subjects, with the exception of a ‘B’ for English. Despite this, he was known for his higher than average intelligence. It’s intriguing. A librarian brings me an armful of pieces from the heritage collection, along with some white cotton gloves and a list of instructions. ‘And we don’t allow pens here,’ she says, staring meaningfully at the blue pen wedged in my fingers with which I’ve been scribbling notes. She doesn’t have nearly as much humour in her voice as the woman with the red hair. Armed with my pencil and gloves, I pull out a soft, tattered booklet from inside its plastic covers. Life of the Honourable James William Blair. It is dated 1915. Inside, I find several cartoons from early 1900 depicting Jimmy Blair confidently in the centre of public discussion. Clearly, his ability to persuade people with the spoken word was a commonly accepted phenomenon. This booklet suggests that his lack of academic enthusiasm at school may actually have been a reflection of how much further advanced he was than other students. He was bored, simply. From the Australian Dictionary of Biography, I learn that he was admitted to the Queensland Bar in 1894. The date jumps out at me. It had to have been roughly around the time that my great-grandfather, Isadore, was born. I make a note to myself to go back and check this. I go on reading. James attended court as junior counsel for the Crown and as counsel in criminal proceedings. He developed a reputation that ‘if the need arose, Jimmy Blair could make a jury weep’. During his first general election as an independent candidate, he distributed heart-shaped cards around Ipswich with two slogans: ‘In the hearts of the people’ and ‘Give Jimmy a vote’. My earlier observation about the photo of the young James might just have latched on to an unusual split between his personal and professional reputation. On the one hand, here was a man playing by all the rules. His parliamentary policy was conservative. He was opposed to pubs opening on a Sunday and in favour of other trading restrictions. He wanted further enforcement of the Gambling Act, the reduction of Sunday labour and trading, and to prohibit tobacco sales to children. But, despite his strong views in parliament, I find small, almost invisible whispers of his pleasure-seeking ways. He was a bon viveur and a dandy, never seen without a carnation in his breast pocket. One reference in A Brief Account of the Life and Times of Sir James William Blair is not so subtle. On page nineteen, I find that one Frank Hardy refers to James as ‘a fat, jovial whisky-drinking fellow who had married a barmaid’. I read through pages and pages of accounts of James’ dealings in parliament and the courtroom, but the specifics are lost on me. My brain feels fat and heavy. I lean back in my chair, stretching, and looking out at the changing light across the surface of the river as the sun sinks lower, taking deep breaths to break up the lists of facts and figures in my head. I prefer to read of his human-interest activities. For instance, he created the Children’s Court and raised the age of consent from fourteen to seventeen. These things I understand and can relate to more than the lists of lawsuits and Acts and political wheeling and dealing. As a former teacher, I glow with pride at the effort he put into reforming education, in particular his passion to extend the availability of scholarships to all who qualified. I even find reference from Montessori educators who claim that James Blair spoke of many education developments in glowing terms and that his role as Minister for Education (1912 to 1915) ‘ranks as one of the most innovative and progressive… in any of the Australian States, his period in office… marking dramatic changes in education in Queensland’. These were also the years that James was a newly wed. Interestingly, when James married May Gibson in 1912, he was forty years old, while she was just 21, and there is barely any official reference to her in the papers. Once again, his private life seemed to have been overlooked in favour of his productive official life. I rub my eyes. I am getting hungry and thirsty but the John Oxley library will be closing at five o’clock and I want to read everything that I can. It is Thursday and the lower levels of the library are open until eight o’clock so I know that I will be able to skip downstairs for a bite to eat before heading to the family history section on Level 3. I ignore my dry mouth and rumbling tummy and read on. James became Chief Justice in 1925, was knighted in 1930 and acted as Deputy Governor in snippets from that year on, served as Administrator in 1932 and was finally officially appointed Lieutenant Governor on 23 May 1933. It was during these appointments that he would have found himself, at times, in the castle on the hill. I smile, thinking of my childhood fantasy of him living there as a king. I reach pages that discuss James’ role in the University of Queensland. I know that I have driven along Blair Drive, which is part of the St Lucia campus, running past the playing fields, beach volley ball area and tennis and basketball courts. I am pleased yet again to read that he argued for the waiving of all fees, his passion for education continuing through his years. He became a member of the university senate and was elected as its Chancellor in 1927, a position he held for the next seventeen years. After accepting the gift of two hundred acres of land at St Lucia from Dr J Mayne, James led the upgrade and relocation of the university from its location in old government house at the end of George Street. I can almost feel his fervent passion for the project rising from the pages. Sadly, World War II interrupted the progress and he did not get to see its completion before he died in 1944. I think back to the castle on the hill. Like so many kings throughout history, James started something wonderful, believing that it would one day be great, eager to leave behind something for future generations in his kingdom. James retired from the bench in 1940 but remained Lieutenant Governor and Chancellor of University of Queensland until he died. One of the reasons James was remembered so fondly was because he was one of the first of the young Australians to be born in this country and achieve significant public and official success, taking over from the British forefathers and birthing a new Queensland. I open my last plastic envelope with my white-gloved hands. Inside is the original letter from Premier William Forgan Smith, addressed to James at his retirement from the bench. It has long vertical creases, as though it had been folded and placed in the back of a drawer in his house for safekeeping. The letter offers James glowing praise for his service his ‘brilliant career’. He tells James of the many ‘gifts which won for [him] a distinguished place in Parliament.’ He goes on to say that James did his ‘duty faithfully and well’ and ‘retained the esteem and confidence of the community’. I am proud. Truly proud. And I want to stand up in this perfectly quiet library and shout to the people silently clicking away at computers that my great-great-grandfather was a very good and clever man. James died on 18 November 1944 at the Mater Misericordiae Hospital in South Brisbane from cerebro-vascular disease, only four years before the birth of my father, his great-grandson. I wonder if he thought about his lost son, Isadore, as he lay dying, and regretted his decision to let him go. The world had changed dramatically since the 1890s. Would he make the same decision again, knowing that he would have no other children? I believe he regretted the decision to give Isadore away and I believe this is evidenced in the efforts he put into child protection and education services throughout his career. In Hansard, there is record of James saying, ‘The test of slavery, to my mind, is the price paid, and whenever a man pays a price for anything, whether it is to gratify ambition, whether it is to get a seat in parliament… then for the time being he is the slave of that ambition.’ James had been a young man with clear ambition and his child was not part of that future vision. Perhaps he did spend the rest of his life paying the price, a slave to the silence. I’m fired up now and I want the proof that James is my relation. I head downstairs again, punching at the silver number in the elevator, desperate to refresh myself with food and water, which I do at the café on the ground floor before leaping once more into the elevator, up to Level 3. It’s four o’clock and it’s the middle of winter, the sky’s light changing fast with every minute. There is dim chatter on the third floor. Despite the quiet, the vibe here is energetic. There are dozens of young, international students logged onto computers, making use of the free Internet. There is red carpet on this level but with the same pattern imprinted on it as the fourth level. There are odd, egg-shaped seats that look like space pods, reminding me of Mork and Mindy and the egg-shaped vessel that brought Robin Williams’ character to Earth. A library assistant shows me to the family history section, a square in the back corner, sectioned off from the rest of the floor. Here, the feeling is patient, older and one of solidarity. Us against them. Everyone with a purpose — to find their past, to find the proof, to fill in the blanks — and everyone helpful. I make connections instantly. Malcolm is searching for a long lost uncle, a drover from Julia Creek. Cindy, like me, is trying to find the missing pieces left from an adoption. And George, with his impeccable suit, huge glasses and thinning grey hair scraped hopefully to the side, comes every day, on a mission to complete a mammoth family history. I start by trying to find evidence of the adoption. I’m convinced that, since James Blair lived in Ipswich and Brisbane, the S* family, who adopted his child, must also live in the area. The Internet is a maze of immigration records out of which I extract exactly nothing. Possibly, the surname has been anglicised, and the variations are too numerous to contemplate. As well, the online database requires me to search in categories of years of immigration and states in which they landed. There are too many variables. If I was a mathematician, I might be able to work out the formula for possibility times possibility times possibility. I’m not a mathematician, but I know the answer here is a big fat dead end. I seek help from a librarian. She is patient, despite the pressure of the constant stream of people to her desk. She points me toward the hard copy records of immigration, conveniently broken down into states, shipping ports and year groupings. This is better. I would prefer hard copy books over electronic guesswork any day. At least I don’t have to spell everything perfectly to search the lists. I pick up an old musty index of immigrants into Brisbane ports in the era that I believe the Schoenwalds must have arrived. The pages are yellowed, the cover mouldy at the edges, the damp smell tickling my nose. I sit on the floor between the shelves, cross-legged, and flick through thousands of pages of lists of people who came to Australia. Book after book passes through my hands, the pile of discarded ones rising higher and higher beside me. I have not found the Schoenwalds, nor any name that even slightly resembles them, but I do have an appreciation of just how many immigrants came to this country at the end of the 1800s. My mind plays with the images of weary travellers walking shakily down the ramps to the wharves, shading their eyes from the sun and carrying their suitcases — everything they own — on their way to find a new life. Finally, I reach the last of the books, but I’ve found nothing. I am just about back to the computers when I pass the end of the bookcase. There is a lone index sitting on top. Someone has left it there. It should have been in the carrel with the rest of the indexes but instead it’s as though it is sitting there, just for me. I read the title. Immigration through the Port of Maryborough (Queensland). I hear my heart quicken its pace even before I feel it in my chest. The Schoenwalds could have come through Maryborough. Easily. I place everything in my hands down, carefully. This could be it. A gift. A parcel of serendipity just for me. I flick to the S directory, holding my breath, expecting to see their name, my mouth ajar in concentration. It’s dark outside now but I’m desperate to find something, anything, that can confirm the folklore. I search through electoral records, the data scrolling in front of my eyes on the big television-like viewing screens. Perhaps they weren’t in Brisbane after all. The pixels zoom quickly across pages and my eyes water with the strain of focusing. I try variations of spelling but can find nothing. I try searching the first three letters of their surname, but still get nothing even close. The German father’s name was Frederick so I search for that, finding hundreds of them from that era. But none that match the Schoenwalds. Perhaps, as immigrants, they weren’t yet Australian citizens and therefore not entitled to vote. Instead, I search for the birth mother, last name MacNamara. After several minutes, I realise that there are no women on the roll. Of course! Women didn’t even have the vote then, something my modern mind finds almost impossible to believe. My next stop is the postal directory for Queensland. Reams of purple coloured transparencies pass through the glass viewer and across the screen, but still there is no evidence of the Schoenwald family. I sigh and dig through my conversations with Dad. Adrenalin shoots me like an arrow. I remember reading that James Blair took a road trip with a few other young men through central Queensland in an early model Panhard. Maybe it was on this boys’ trip that he met Molly MacNamara and that was when Isadore was conceived. I rush back through my notes to check the dates. It was a remarkable trip, travelling over five and a half thousand kilometres through the red dust of Queensland in one of the first cars in Australia. No air conditioning, CD players, mobile phones, RACQ or satellite navigation systems. But the date was 1905. Too late for Isadore to have been conceived. Frustrated, I approach the help desk. There has to be a way in. James certainly would have had plenty of access to lawyers. ‘What else do you know?’ she asks. I tell her that the mother’s name is Molly MacNamara. She searches the database, just as I have done. Again, nothing comes up. I am suddenly very tired. This is hopeless. She turns her huge monitor around so that I can see what she is doing. She taps her finger lightly on the edge of the keyboard, a thinking gesture. Then, she changes the spelling to McNamara. Spelling has never been my strong point. Instantly, many names fill the screen but, again, there is no Molly. She searches the birth records for any Isadores born between 1860 and 1899. Nothing. Then, she changes the spelling to Isidore and hits the search button. My muscles tighten. I am tired now. My eyes are shockingly fatigued from the hours of searching through records of tiny, tight typeface. The library will be closing soon and I have found nothing at all that confirms the folklore. Yet I know. I know in my heart, in my gut, in my genes, that the folklore is true. The computer takes an age processing the data. A small circle on the screen moves around and around indicating that it is still searching. I think about James’ son, Isadore, my great-grandfather who, at fifteen, jumped on his bicycle and cycled from Charleville to Augathella, some eighty-four kilometres. He came to Brisbane and lived at Herston, only a few suburbs from the Brisbane home of James Blair. He married Margaret Fingleton of the well-known Brisbane Fingletons — Magistrate, Diane, and swimmers Tony and John whose stories appear on film in Swimming Upstream. He was a man who lost his wife in childbirth as she brought Gerard, my grandfather, into the world as a bloodied squawking baby, and then raised nine children on his own. A man who carried the shame of being an ‘illegitimate’ child of a prominent public figure, knowing where he came from but never being able to do anything about it and never asking his birth father for anything. A man who, in his final years of life, lost his lower leg to diabetes but refused to use crutches, instant stomping terrifyingly around the house using a stool as leverage under the stump. A man who could not hold back the bitter anger that had broiled throughout his life, frightening his grandchildren as it seeped out in growls and sharp words. I think about him — and, then, there his is. On the screen in front of me. I had been spelling his name incorrectly. Isidore McNamara. Born to Agnes McNamara on 8th September 1892. He is the only record for that time and those parameters. Isidore. McNamara. The dates fit perfectly. The associated code says that he was born in Ipswich, which also fits perfectly. The father is ‘unknown’, his anonymity bought with cash. All the pieces slot into place. Proof. It is him. My great-grandfather. The records show that Isidore McNamara was married to Margaret Fingleton in 1914 as Isidore S. Somewhere after his birth, the adoption occurred, his name was changed and he was taken to Augathella, only to return to Brisbane, walking distance from his father. I am wildly impressed that the oral folklore in my family was passed on so successfully, with only a few minor bumps along the way, and that I am finally able to set the truth free. Some say that Molly McNamara was a governess on theSchoenwalds sheep station. Some say she was a housekeeper in the employ of the Blairs. We don’t know. But I feel sadness in her story. Sad that she suffered such disgrace and pressure as a single woman. Sad that she had to give up her precious child. Sad that she died young and unmarried not long after. My family tree is a family forest and one that I’m not sure that I will ever fully explore. But I do feel connected to these people and I feel that their truth needs to be told. I drive home past Government House, gazing through the gates at its enormity and whiteness, glowing in the frosty moonlight. The castle on the hill holds the spoken words and unspoken thoughts of James Blair in its walls. It is a silent observer of the characters that have passed through its halls. It has been there since 1864, watching. Listening to those who have argued for a better future, to those who have made love in darkened corners, to those who have danced in the dining room, to those who have cried tears of frustration, and to those who have made decisions that have changed Queensland’s history. So many stories woven into the fabric of the castle. Now, I can claim one of the stories for myself, as truth. and the other at the Burdekin Readers & Writers Festival in North Queensland (with a smashing lineup of authors!). 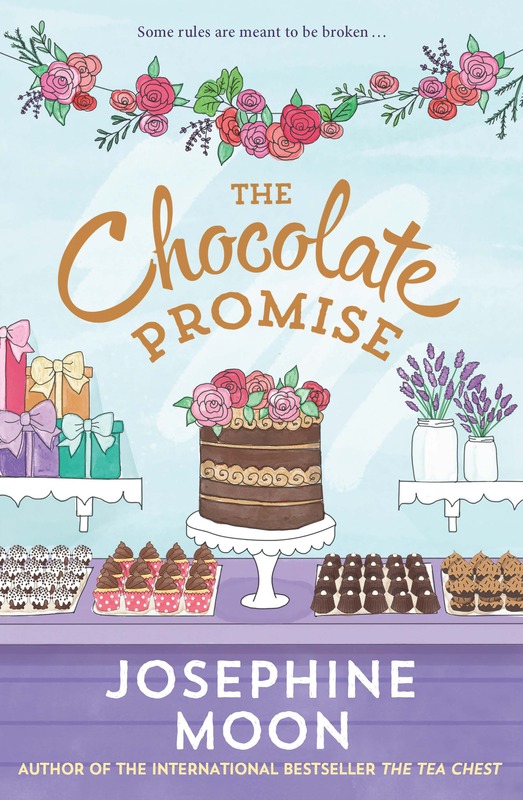 Josephine Moon, Australia’s first foodie fiction author, describes her novels as ‘books like chocolate brownies’– rich, inviting and a treat for soul, but with chunky nuts to chew on. 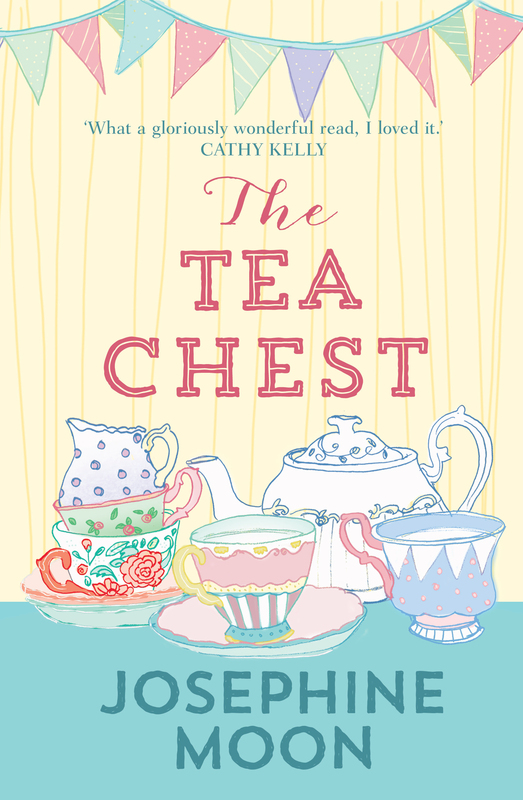 She is the author of The Tea Chest, The Chocolate Promise and The Beekeeper’s Secret, all published internationally. Enjoy a two-course lunch with wine while Josephine entertains you with the delightful stories behind her books and readings that will make your mouth water. Sound good? You can book tickets here. Next up is the Burdekin Readers & Writers Festival, 15-17 July in North Queensland. Kimberley Freeman, Frances Whiting, Nick Earls, Graeme Simsion, Susan Johnson, Morris Gleitzman, Katherine Howell, Matthew Condon, Annie Buist, Lesley & Tammy Williams, David Metzenthen, and one of my all-time heroes, John Marsden. Wow! There’s a lot of food in this program, which sounds right up my alley! This looks like a really rich program so if you can escape the cold and head north for the weekend, why not come along? Book tickets here! LOVE. This is the first word that comes to mind when I think of Goodness Gracious Gluten Free & Organic Cafe in Yandina on the Sunshine Coast. The women who run this charming abode (Jill and Nicky) radiate love. 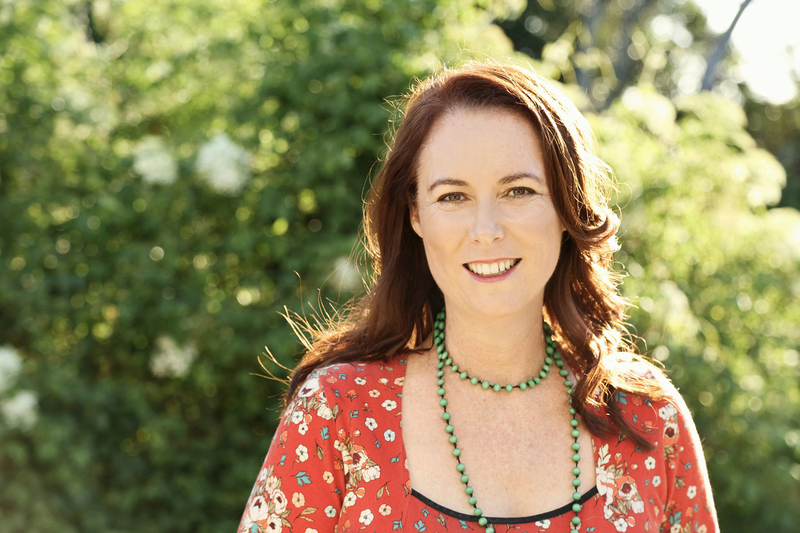 About thirteen years ago, my health was in a terrible mess, diagnosed with chronic fatigue syndrome (CFS), Hashimoto’s Disease, hypothyroidism, a host of rheumatological issues and more. It was an intensely frightening time, unable to work to make the money I needed for the many treatments that doctors and natural therapists claimed would help. Unable to afford them, I had to make Big Life Decisions. But one of the easiest decisions I made was that I needed to invest the little amount of money I had into FOOD. It was clear to me that high quality food would be the basis of everything after that. I started going to the Northey Street City Farm organic markets each week. And then for whatever reason, I found myself drawn to eating at Govinda’s (Hare Krishna) cafe in Brisbane city. Something that deeply impressed me about the Hare Krishna lifestyle was how important food was in their service and spirituality. So much so, I was told, that to be a person elevated to a food prep position was something of an honour, something that had to be earned. To prepare food in a Hare Krishna kitchen included loving and blessing the food before it was eaten. Call me crazy if you like, but I felt some deep healing on those Sunday evenings spent at Govinda’s. And this takes me back to Goodness Gracious Cafe. From the moment you pull up on the footpath you are surrounded by love–in the welcoming chalkboard signs; in the organic garden that’s lovingly tended by these women; in the heart-shaped art pieces hanging from the ceiling; in the locally-made handmade artworks for sale; in the groups of women knitting at the tables, with their rows of stitches becoming blankets for the homeless in the local area; and most certainly, most definitely, in the food. Everything here is baked on site inside this post-war home on stumps–a home that has a fascinating history including being a railway station master’s home and having had a resident spirit called ‘Alfred’ walking the rooms (who was later ‘released’ when his daughter, who’d also lived in the home, happened upon the cafe and took him home with her). Jill and Nicky and their friendly staff are always there with a warm smile, knowing many of their customers by name. Their gratitude for living their dream is evident, with the cafe and its customers supporting more than half a dozen different charities, both local and overseas. And their gastronomic creations never let you down. My favourites include the Turkish delight hot chocolate (with real rose water); the chocolate, blueberry and lavender mud cake (seriously, you MUST try this! ); the banana pancakes with homemade caramel sauce and banana ‘nice cream’ (dairy free); the chicken crepes and salad; the paleo lemon bar; and, well, pretty much everything else on the menu too. There is some kind of deep wisdom that tells us that to provide food with love, and to eat food with love, is one of the most powerful things we can do. That’s why so many of our memories involve food with loved ones. That’s why we say ‘you are what you eat’. That’s why we go home for a ‘home cooked meal’. That’s why we make our loved ones soup when they’re ill. Whether it’s intentional or not, the love and care that comes from these women’s hands infuses every mouthful. Just like my time at Govinda’s all those years ago, I come away from Goodness Gracious every time feeling blessed, nurtured and a little bit healed. And I walk away feeling that the world is a good place after all. Goodness Gracious Cafe: 3 Conn St, Yandina.